Creating and publishing content-rich, interactive ebooks without programming skills or distribution power: that’s the problem New York- and Seoul-based startup Moglue is trying to solve. The TechCrunch Disrupt Beijing finalist offers two products: MoglueBuilder (a desktop app that makes it dead simple for authors and artists to create and publish interactive ebooks) and MoglueBooks (an ebook store on iOS for users who just want to browse and consume content). MoglueBuilder (download for Windows and Mac) has been in open beta for a few weeks and was downloaded by more than 20,000 creators worldwide so far, according to Moglue. With the new version that just launched, authors and artists can create interactive ebooks using a drag-and-drop-based UI and directly publish them to MoglueBooks to reach their audience – no programming required. 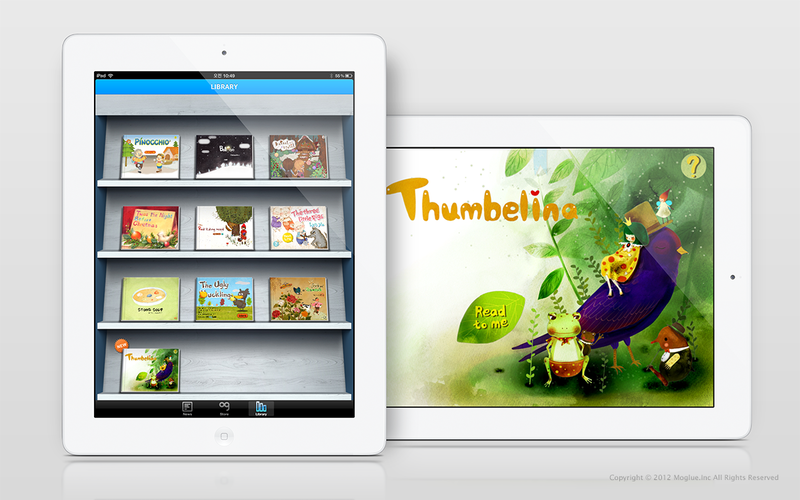 Moglue is currently focused on children’s books, but the platform is suitable to make any kind of content interactive. It’s possible to spice up texts with images (backgrounds, characters, etc. 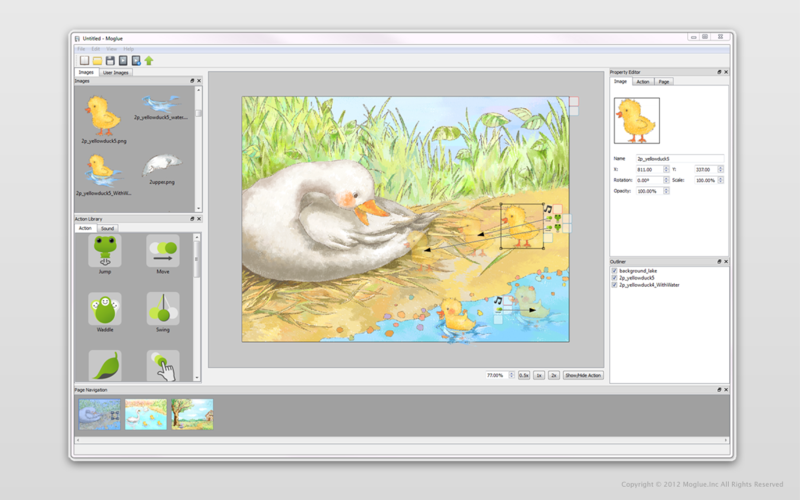 ), effects, sounds, and animations. For instance, a bird appearing in a children’s book could start flying up into the air and chirping when touched by the reader’s finger to make the story more appealing to children. All elements can be customized in the property editor to, for example, determine how high the aforementioned bird should fly on the given page when touched. Creators can also record and add voices to each page to tell the story: all that kids need to do in that case is to listen, interact with the elements and touch the screen to turn pages. MoglueBuilder offers a whole range of other bells and whistles, i.e. background music, that can be uploaded and added to the ebooks. 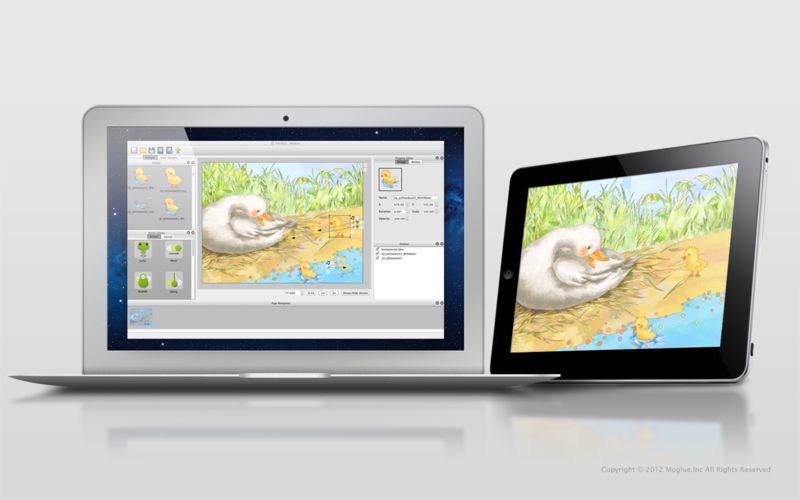 With Moglue, amateur authors can create interactive ebooks that actually look and sound fantastic. Just check the 11 sample ebooks that are currently available in the MoglueBooks iOS app (which is the store that creators publish to). These selected ebooks (interactive versions of Pinocchio, Little Red Riding Hood, Hansel and Gretel, etc.) are available for free for the next four weeks. 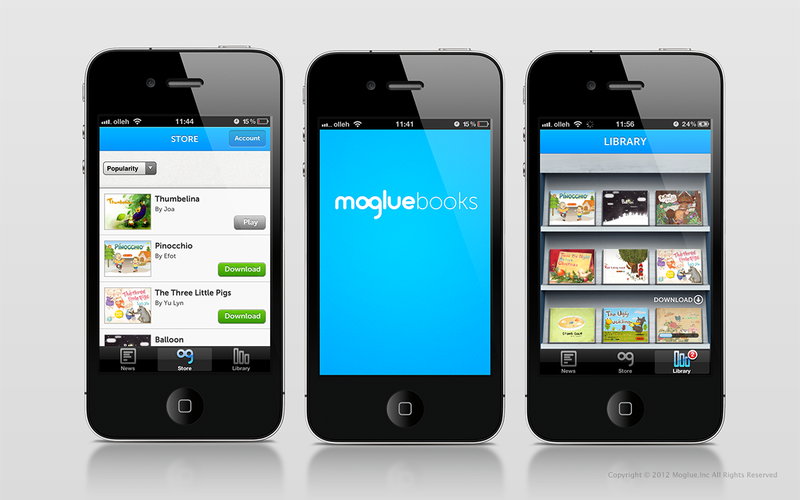 All books published to MoglueBooks must be set to free by authors between now and the next four weeks. As in the case of the aforementioned sample ebooks that are currently free, Moglue uses this measure to kick-start demand on the platform: after the four weeks, authors can start charging for their ebooks freely. Creators using MoglueBuilder can publish to MoglueBooks for free during a promotion period, which ends this summer (publishing details and pricing plan here). 23-year old Moglue CEO Taewoo Kim tells me that starting around the same time, authors will also be able to publish directly to the App Store, under their own developer account. From summer, it will also be possible to publish books as individual apps to Google Play and Amazon’s App Store through MoglueBuilder (MoglueBooks for Android will be rolled out during that time, too). The startup has raised about US$450,000 from Korean investors last month, following a US$540,000 seed round in October 2010. A big distribution deal has been closed in April, too: Kyobo, Korea’s largest offline and online book store as I’ve been told, chose Moglue as the platform to expand its business to interactive ebooks. With Kyobo covering the domestic market, the startup is now planning to keep focusing its energy on the global market for interactive ebooks. Moglue is, for instance, thinking about expanding the platform to other categories such as educational books, manuals, visual novels, etc.